Lots of things will change in 2017, but investor psychology won’t. It hasn’t changed since the tulip mania in the 1600s, or even since money was invented. 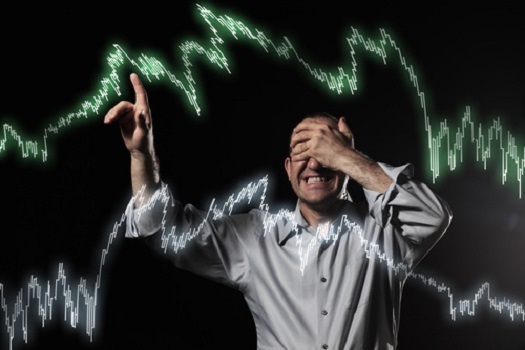 The roller coaster of the stock market makes for a lot of adrenaline, euphoria and fear – a recipe for bad decisions. You can become a wiser, calmer investor if you know about the main cognitive errors investors make. You’ll be able to take a deep breath and hopefully stop yourself before making a costly mistake. Here’s a look at your brain on investing. After the financial crisis of 2008-2009, most investors bailed out of stocks – precisely the wrong move. This is a great example of the recency bias – the assumption that conditions created by a recent event will persist or recur into the future. We’re all prone to pay undue attention to recent news, either good or bad, and underemphasize long-term trends. Performance in the recent past is arguably the least useful information about an investment. But recent performance data is easy to understand and dramatic. Hot funds or stocks aren’t guaranteed to keep going up. The opposite is often the case. Securities that have plummeted aren’t a sure thing to go lower. The human brain seeks to identify patterns and see events as part of a pattern even when they are not. It can be easy to buy into an illusory meaning and subsequently make choices based on recent data that is ultimately irrelevant. In Garrison Keillor’s mythical “Lake Wobegone,” all the children are above average. Most investors believe they are above average – and less overconfident than other investors to boot. If you’re convinced you a mini-Buffett, you may put too much money in one stock that can’t lose. You may try to time the stock market instead of sticking to a long-term plan. Many people invest most of their money in areas they feel they know best rather than in a properly diversified portfolio. A banker may load up on bank stocks, or invest in CDs only and avoid equities. A programmer may overinvest in tech stocks. The known feels safe. The unknown feels risky. Investors often feel the need to make a change to their portfolio when markets are falling. Inaction can feel neglectful or foolish, especially if everyone else is furiously taking action. But it’s often the worst thing you can do. On the other hand, investors often hold onto losers too long to avoid acknowledging an investing mistake. Instead of bailing out after a stock has lost 10 percent or 20 percent, they can’t pull the trigger until it’s been decimated. Note: It doesn’t matter at what price you bought an investment. That’s the past. Only the potential future return on the investment and the associated risk should matter when deciding whether to hold or sell an investment. Beating the market once in a while isn’t hard. Doing it consistently is almost impossible. One of the biggest mistakes investors make is trying to trade based on a prediction everyone accepts. If you expect a recession based on something you read in the Wall Street Journal or heard on CNN, stay calm. That possibility is already baked into the current market price of investments. Trying to avoid the next market meltdown or identify the next hot market is a siren song for all investors. But professional investors are collectively unsuccessful when they try to time the markets. If some guru really had magical powers to predict the market, would he or she tell the world? Or would that person keep it a secret and make an enormous fortune? Emotion and spontaneity make life fun. But in investing they’re your enemies. Data and planning are your friends. Create a written investment plan and to stick to it. Focus on long-term results and include eventualities like a market downturn or a major investment failing. By considering such problems as hypothetical situations, you can avoid the temptation to react emotionally in the moment. Setting up a plan removes the need to rely on yourself to remain unbiased and unemotional while the market is plummeting. We all make mistakes, but a plan that accounts for foreseeable problems can help protect you from avoidable missteps. If you know you can’t stay disciplined, hire someone else to manage your money. Benjamin Sullivan, Certified Financial Planner (CFP®) is a portfolio manager with Palisades Hudson Financial Group in its Austin, Texas, office. Palisades Hudson Financial Group (www.palisadeshudson.com) is a fee-only financial planning firm and investment manager based Fort Lauderdale, Florida, with more than $1.2 billion under management. It offers financial planning, wealth management, financial management and tax services. Branch offices are in Atlanta; Georgia; Austin, Texas; Portland, Oregon; and Stamford, Connecticut.